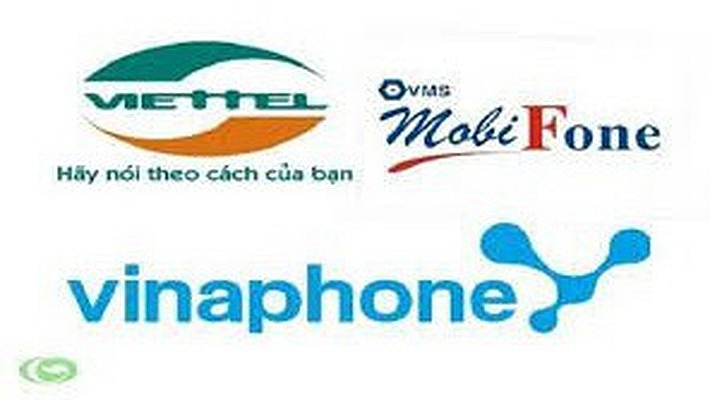 The Ministry of Public Security (MoPS) has just announced that three telecommunication companies (Viettel, Vinaphone, and MobileFone) earned VND1.4 trillion ($62 million) from the gambling ring led by former C50 director general Nguyen Thanh Hoa. This is the largest-scale gambling ring ever to be discovered in Vietnam, with 43 million accounts, 14 million users, and over VND9.54 trillion ($420 million) in circulation. Up to March 14, MoPS has arrested and prosecuted 83 defendants related to this ring. This case also involves telecommunications networks and game publishers in Vietnam. MoPS confirmed big gaps in the management of telecommunications scratch cards, game cards, and payment intermediaries. To organise such a large-scale gambling ring as Rikvip/Tip.club, they needed online portals to channel money and used scratch cards. Payment by scratch cards accounted for 97 per cent of the total money poured into online payment portals, and the cards of telecommunications companies like Viettel, Vinaphone, and MobiFone, which accounted for 15.5-16.3 per cent of the total. “The gains on these gambling activities were extensive. The loose management of publishing and using telecommunications scratch cards enabled these to become the main payment methods for other services (not telecommunications) in general and for gambling activities in particular,” stated the investigation results of MoPS. Thereby, intermediate payment firms (ePAY, Ngan Luong, Home Direct, Giai tri so) played an important role in the online gambling ring. Due to a lack of legal framework, these activities are not considered as intermediate payment to be managed by the State Bank of Vietnam, while the Ministry of Information and Communications does not have an online payment management function. “MoPS recommends the government to add several regulations to patch the holes and overcome shortcomings in the draft Law on Network Security, which is expected to be approved in the upcoming session of the National Assembly,” added MoPS. MoPS revealed that the total amount poured into online payment portals was VND9.583 trillion ($422.2 million), equivalent to VND342 billion ($15 million) per month. Of this, nearly VND9.3 trillion ($409.5 million) came from telecommunications cards and game cards, capturing 97 per cent. VND168 billion ($7.4 million) came from banks. Direct gambling money through dealerships was initially VND5.631 trillion ($248 million). VND9.583 trillion ($422.2 million) went to telecommunications companies, firms providing intermediate payment services, game card publishers, organisers, and players in the form of bonuses. Telecommunications companies gained around VND1.4 trillion ($62 million), equivalent to 16 per cent of the total telecommunications card value. Intermediate payment companies obtained VND258.4 billion ($11.4 million). Nguyen Van Duong and his team received VND1.6 trillion ($70.5 million). Phan Sao Nam, Hoang Thanh Trung, and their team received VND1.85 trillion ($81.5 million), while VND2.645 trillion ($116.5 million) was paid to players. The gambling ring used a variety tricks to legitimise this amount, such as investment, contribution to other businesses, purchasing real estate, transferring funds overseas (e.g. Phan Sao Nam deposited $3.5 million at Bank of Singapore). The investigation agency has determined the amount to be retrieved from each party. Up to date, the agency has retrieved and seized total assets of VND1.239 trillion ($54.6 million), including over VND1 trillion ($46.1 million) of cash, VND192.6 billion ($8.5 million) in 20 apartments/houses, and 12 cars. MoPS investigated and arrested Phan Sao Nam (1979, founder and former chairman of VTC Online), Nguyen Van Duong (1975, chairman of high-tech security development company CNC), and Hoang Thanh Trung (1978, former general director of VTC Intecom), who co-organised this gambling ring. Earlier, the Phu Tho investigation agency prosecuted and arrested Nguyen Thanh Hoa, former director general of the High-Technology Department (C50) of MoPS in charge of organised gambling.